North Mississippi Allstars, the band he launched with his brother Cody in the late 90’s, earned a GRAMMY nomination for their critically acclaimed debut, ‘Shake Hands With Shorty,’ and went on to release a slew of similarly celebrated studio and live albums over the next two decades. NPR’s Mountain Stage called the band “modern-day torchbearers for the distinct, funky, Hill Country blues associated with their native state,” while the NY Times praised Dickinson as “an impressive player in the Southern guitar-hero mold,” and Rolling Stone hailed the group’s “­boogie blues and fuzzed-out funk.” The band toured with superstars like Robert Plant and Dave Matthews in addition to slaying festival stages from Bonnaroo to Newport Folk, and they topped the Billboard Blues Albums chart three separate times, most recently with 2017’s ‘Prayer For Peace.’ Dickinson’s restlessness and versatility, meanwhile, fueled an impressive solo career and landed him stints playing with the likes of John Hiatt and The Black Crowes in addition to studio work with Patty Griffin, Devon Allman, Seasick Steve, and more. 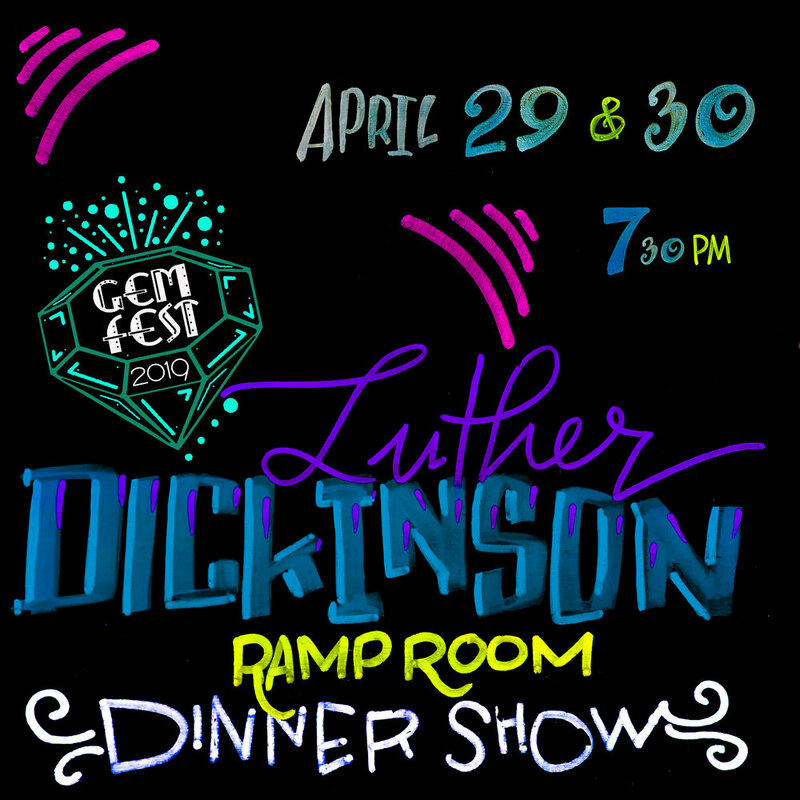 Join us for a very special RAMP ROOM dinner show with Luther Dickinson and guests - table reservations are recommended.